Making a decision on moving your home is tough, especially if you are a senior. But let’s face it – the time for a senior move will come, sooner or later. And when it does come, you’ll want to be prepared for it. Whether you’re the one that will be moving as a senior, or you’ll be helping your older family member to relocate, having a senior moving checklist is a must! If you’re wondering why this checklist is so important, we’ll provide you with the necessary answers. So, let’s begin! How can a senior moving checklist help with the move? If you want to create a moving checklist for your upcoming relocation, you’ll have to understand its purpose. Most people think that after they choose the right retirement destination for themselves, the job is over. Well, that’s not the case. 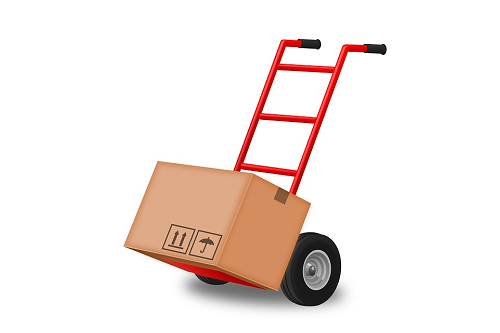 Every type of relocation requires strong organizational and problem-solving skills. And this is where having a moving checklist comes in handy. When moving, there are many tasks that need to be taken care of. And no matter how important a task can be, there’s always a chance we will forget about it during the move. But don’t worry, there’s an easy solution to this problem! If every task is written down and pointed out, you’ll be sure that not a single thing will be left behind. So, now you’re probably starting to realize the importance of a checklist for the relocation. But, what should one senior moving checklist look like? Preparation is crucial for every move! If you do it properly, you’ll move with ease. So, how to prepare for the move the right way? Moving during the cold winter can be more difficult for seniors. Injuries can happen along the way, and there is even a chance you’ll need to postpone your move because of the bad weather. This is why checking the weather forecast regularly is important for a winter move. Make sure you write it down on your senior moving checklist. The summer is a busy season for movers. If you want to hire a moving company, you’ll need to do it on time, and you’ll probably pay more for your move. Picking the date for a relocation is the number one task on every senior moving checklist. Remember, there is no wrong choice! All of your legal documents need to be up to date. If you are moving to a new city, you’ll also need to transfer your medical records. Keep in mind that transferring medical records is an arduous and long process, so the sooner you transfer them, the better. Oh, and since we’re talking about important documents – there’s one more. Many people choose to get life insurance before the move. Think about whether you should get one, too. Finding help for a senior move is a must! So, don’t be stubborn and accept other people’s help. Trust us, having someone by your side when moving will help you a lot. Another thing you could do is hiring a reliable mover. Many moving companies, like Moving Kings Van Lines FL, have additional services that will make your move easier. Don’t have enough time to pack? Can’t lift your moving boxes? No problem! Just find the right mover and they’ll get the job done for you. Whether you’ll be moving into a care facility or to a smaller apartment, you’ll have to get rid of some stuff. Let’s face it – there are many unnecessary items in your home. You should get rid of them! But, we don’t mean you should throw everything in the garbage. Instead of that, donate or try to sell some of your belongings. Your unnecessary items can mean a lot to someone else, so this will be a perfect opportunity to make someone happy. After downsizing, you’ll pack in no time. All you have to do is start packing early and you’ll be ready for your moving day. Downsizing and leaving memories behind is an overwhelming process. But if there’s someone by your side, it will be easier for you. Every senior moving checklist should contain important tips for a moving day. It’s not all about the preparation. One of the best ways for you to start your moving day is to get up early. You’ll have more time and won’t need to rush and run around the house in panic. Also, starting early is important for a long distance move. So, for example, if coming to Miami from long distance is a part of your moving plan, getting up early is necessary. Leaving everything behind can be hard for some people. You might feel sad, excited, overwhelmed, or stressed. And you know what? That’s perfectly normal to feel. Embrace your emotions and stay positive! We’re sure there are many good things about your move, so try to focus on them. Moving is hard, but also exciting. Prepare for the life after the relocation! After you cross out every task on your senior moving checklist, you’ll be ready for enjoying your new life. It might be hard or strange at first, but you know what? Every change brings something new in our lives. Instead of worrying too much, learn to embrace these changes and you’ll live a calm and happy life.